Spring is the best time to take good care of Your hair! We treat your hair with 5 luxurious treatments (1 treatment per week). The treatment includes: hair washing, enrich treatment, serum care with head massage & blow-dry. * need to pay for 5 treatments at your first treatment! Hair Elegance tape hair extensions -20%! Decoris Showroom is specious hair and make-up salon. Decoris Hair Spa is dedicated to the health, vitality and wellbeing of your hair, aiming to keep your hair looking and feeling it’s best in between salon appointments. 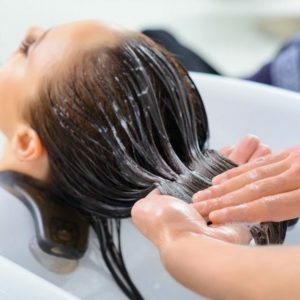 We have designed a holistic treatment menu to encourage and maintain healthy hair, prolong in-salon treatments and provide long-lasting nourishment to the hair, from root to tip. 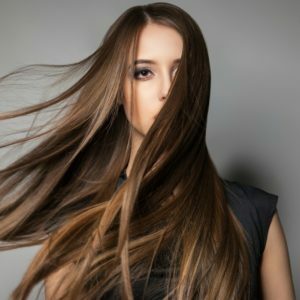 Salon has also brought together well-known and award-winning brands – Balmain Hair Couture, ghd, Kevin.Murphy, Halo, Vita Liberata and Supermood. What unites these brands? We believe that the high quality of the products and of course the desire to offer the clients only the best! Decoris Showroom is located on the first floor of a recently renovated building in Tallinn, Tellisvi 60N. Choosing the right room, we tried to keep the style that suits together with our brands. The interior is a mixture of industrial cognition, where we have added little bit softness with a romantic furniture, so that the overall impression would be stylish but at the same time cozy. We can say that the opening of the Decoris Showroom embodied the dreams of several women. Over time, there has grown a friendly and highly motivated team, where everyone has his own task. Decoris Showroom is waiting you all to visit us. Our friendly team would love to introduce to you our brands and services. As our collective is composed of professional hairdressers and make-up artists, we can offer you a wide range of different beauty services. Also we find important to mention that we organise a variety of hairstyle courses for everybody – both hairdressers and make-up artists, both beginners and professionals.